GomSpace has purchased a launch for several nanosatellites onboard a LauncherOne rocket from the California based company Virgin Orbit — the flight, which is bound for a low-inclination orbit, is scheduled to occur in early 2019. 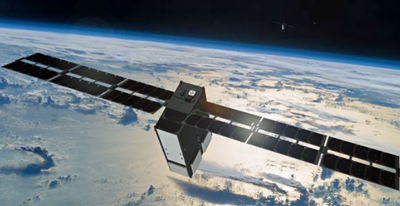 GomSpace will use the launch to further build out a constellation of small satellites (smallsats) that will use Automatic Dependent Surveillance-Broadcast (ADS-B) and Automatic Identification System (AIS) signal monitoring to track civilian aircraft and ocean-going vessels. This satellite constellation will provide continuous monitoring between 37 degrees North and 37 degrees South, helping provide global situational awareness for air-traffic controllers and shipping companies, and aiding in the identification and location of wayward or missing planes and ships. Artistic rendition of a GomSpace smallsat. The satellites slated for flight on LauncherOne are based closely on the flight-proven hardware used in the successful GOMX-1 and GOMX-3 missions. The satellites will be designed, manufactured, and commissioned by GomSpace. The constellation will be operated by GomSpace’s Mauritius-based customer, Aerial & Maritime Ltd., once in orbit. Virgin Orbit is currently in the process of qualification and test flight for the LauncherOne service, which includes both a two-stage expendable rocket and a fully-reusable air-launch platform. The company has a fully-assembled pathfinder rocket on the test stand in Mojave, California, and several more in manufacturing and assembly in Long Beach, California. The system’s 747-400 flying launch pad has begun its flight test campaign. 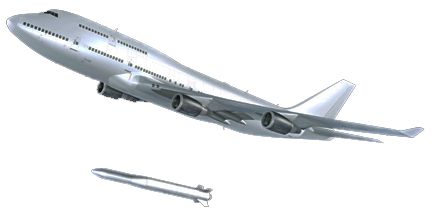 LauncherOne is designed to provide highly responsive, reliable, and affordable flights to Low Earth Orbit to small satellites. The initial flight of the LauncherOne system is targeted for the first half of 2018. GomSpace CEO Niels Buus stated that the company is always happy to take another step forward as a global leader in the smallsat community. Virgin Orbit and LauncherOne are a key part of building out the firm's ADS-B and AIS monitoring constellation, which is going to fill a need that is both socially and commercially important. Virgin Orbit CEO Dan Hart added that GomSpace has already proven they have an excellent technological solution that works in space. Now, that company needs to build out the full constellation and the Virgin Orbit team is playing a key role in that endeavor.